The First Degree E-520 Fluid Rower is the epitome of all indoor rowers, bar none. 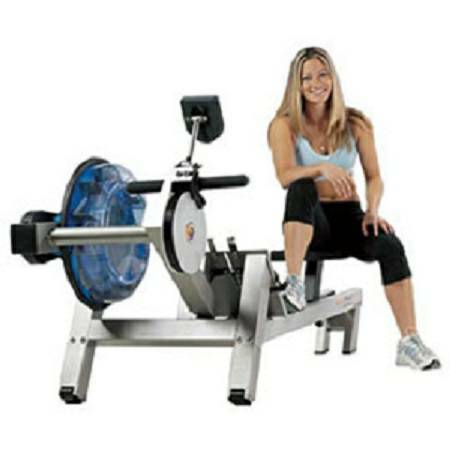 The First Degree E-520 Fluid Rower represents the highest quality indoor rowing experience and is the top of an already hard to beat line of fluid rowers from First Degree Fitness. It offers an industry-best on-water rowing emulation with a natural catch and resistance through the e-520 rower's stroke along with unmatched durability and an unprecedented 20 levels of patented variable resistance. Many clubs or wellness center's use it as their key go to equipment when trying to demonstrate innovation in fitness or a real sensitivity to user needs. While many people use weights at the gym for their rowing exercises, the First Degree Fitness E-520 Fluid Rower is designed to build more efficient muscles with proper biomechanical exercises. 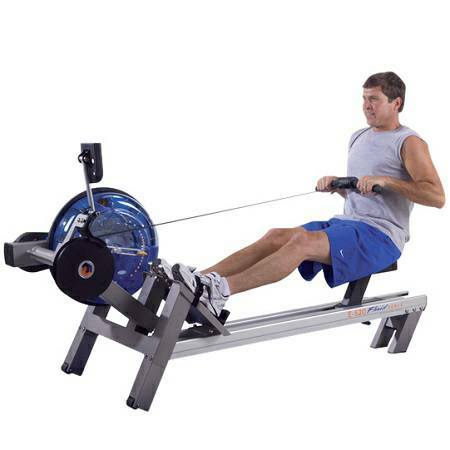 The benefit of this machine over others is that it utilizes a fluid system of resistance to match real-life rowing, so the proper rowing technique and resistance is maximized to provide a better workout. If you're under the impression the First Degree E-520 Fluid Rower is designed for only elite athletes, think again! The rower comfortably adjusts to 20 different levels of resistance for a truly customized workout. The seat is also soft and contoured for unmatched comfort, so you don't have to constantly shift your body as you would on a typical rowing machine. An integrated fitness monitor tracks and displays your progress, allowing you to set and accomplish workout goals. 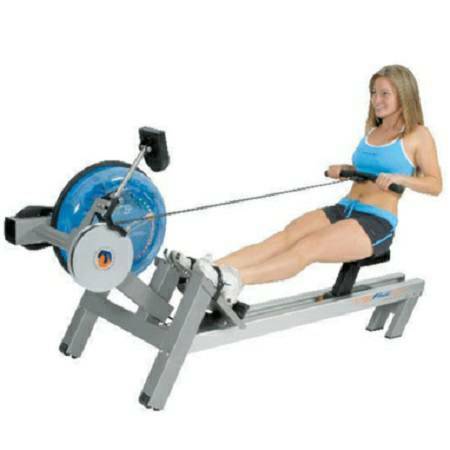 When looking for a perfect workout machine, efficiency and reliability are the best way to increase your lean body mass; once you get your First Degree Fitness Fluid Rower E520, you'll realize there's no substitution to the efficiency and reliability a fluid rower/ergometer like this can provide. Realistic, low impact rowing invigorates both the body and the mind, and the First Degree E-520 Fluid Rower does it like none other. The First Degree E-520 Fluid Rower is the closest thing to real, on-water rowing, unmatched durability, and it's virtually maintenance free! Optional seat back provides incredible comfort and support. Rowing engages all muscle groups, burning fat fast - and the Fluid Rower is low impact, non weight-bearing water resistance is provides the perfect workout! 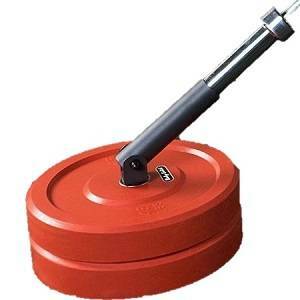 The First Degree E520 Fluid Rower incorporates large rollers in the design of the front legs. Just pick up the back end , tilt to 45 degrees and wheel away. The First Degree E-520 Fluid Rower adds innovation to your gym equipment mix. Brings comfort, convenience, and delivers results for your club members. Many facilities use it as their key go-to equipment when wanting to demonstrate innovation in fitness or a real sensitivity to user needs. . Full commercial machine designed for heavy duty service B. 20 levels of patented variable fluid resistance C. Absolute comfort, stability & performance with widest range of resistance available D. Height adjustable footplates with advanced heel cradle footboard design and straps to ensure optimal foot placement and comfortable rowing position E. Compact side mounted tank design delivers ease of adjustment. F. Interactive Performance Monitor (IPM) with USB port. When a machine is exceptional it surpasses everything you have come to expect, forcing you to look beyond rowers of the past, introducing you to a world unexplored. The First Degree E-520 Fluid Rower is the highest quality performance rower on the market with the widest range of resistance levels found anywhere, air or fluid rowers. Expect a true to the rowing sport feel with every catch, drive, finish and recovery on the First Degree E-520 Fluid Rower. The First Degree E-520 Fluid Rower is the only rower of its kind with a true on-the-water feel with 20 levels of patented Variable Fluid Resistance (VFR) with a natural catch. No slack, no slippage and no flat spots. This is the E-520's promise to you. Designed by rowing professionals to challenge even the most dedicated athlete, the First Degree E-520 Fluid Rower utilizes patented Variable Fluid Resistance (VFR) found only within the First Degree Fitness line of products. The patented variable resistance adjustment allows the user to not only increase the amount of resistance through faster rowing but also by adjusting the resistance to add more or less water for a "feather light" resistance to a heavy, full throttle Olympic resistance. No other fluid rower can compete with this technology.